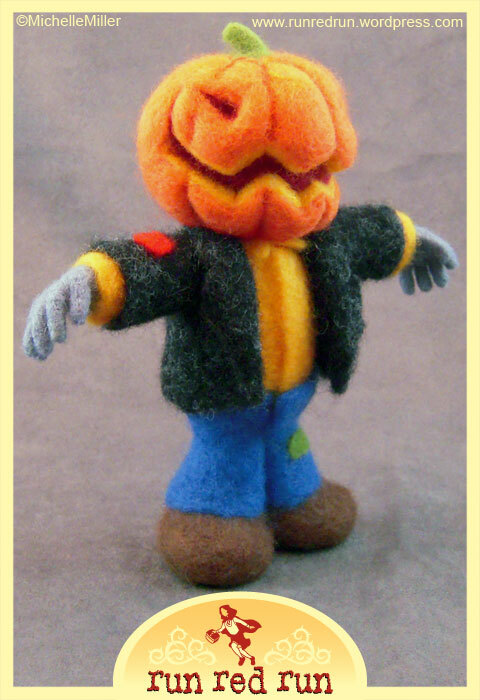 Needle Felted Pumpkinhead Scarecrow Sold! It’s SpookyTime Jingles update time again. Up for sale this time is a Pumpkinhead Scarecrow. He is based on a design by Vince Dorse, complete with jeans and a sports coat. I used a wire armature in his arms so that there wouldn’t be any arm sagging when he got tired. His spooky pumpkin head is sure to keep the crows away from the autumn harvest. This guy will be up on the SpookyTime Jingles site at midnight on the 13th. Just click on the Run Red Run button at spookytimejingles.com for more details on how to purchase this month’s offering. 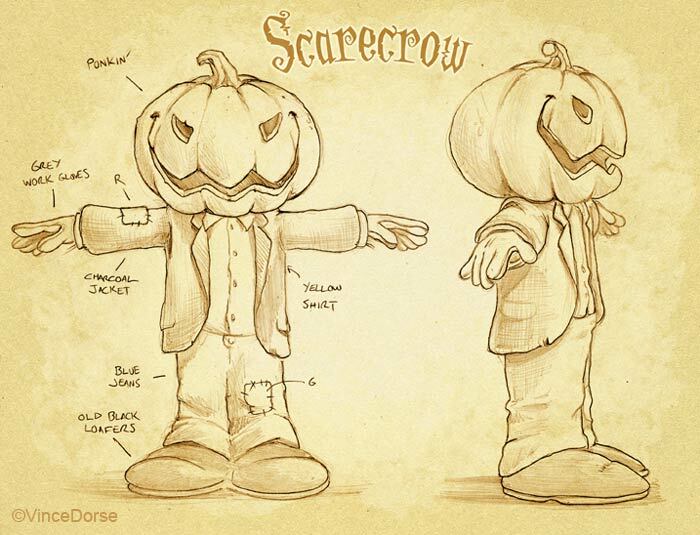 There are more photos of the scarecrow up in the gallery if you want to check them out. Thanks! Update: The scarecrow sold and is now on his way to his new home! I sculpted the scarecrow using Vince's design as reference. That’s great! Nice work Michelle and Vince.